Report by left-wing NGO B'Tselem challenging decisions by Israeli Supreme Court in Judea and Samaria was funded by Dutch government. Last week, the left-wing B’Tselem organization published a report which challenged rulings made by the Israeli Supreme Court and Israel's Construction and Housing Ministry in Judea and Samaria, and even sought to undermine the legitimacy of the Supreme Court. According to the documents released by Israel Hayom, B’Tselem received no less than 176,000 euros (roughly 200,000 USD) directly from the Dutch government to compose a report that would include criticism of the Israeli Supreme Court decisions under the heading “Expulsion of Palestinian Communities from their Land”. Under the agreement between the Dutch government and B'Tselem, the left-wing organization agreed to 'regularly refer to' the Israeli high court as an enabler of the 'occupation' and human rights violations. 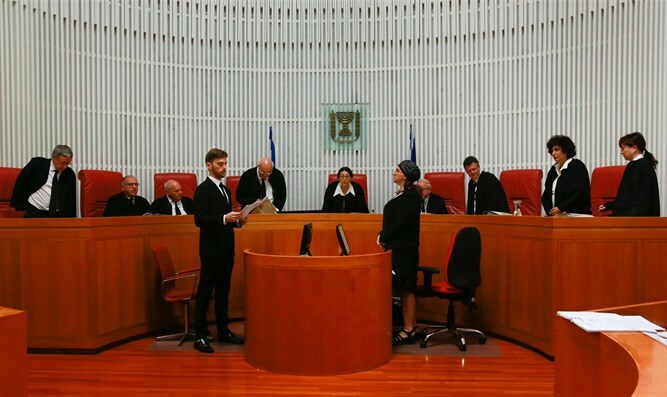 “B’Tselem will regularly refer to the Supreme Court as one of the main system that enables the continued occupation and violations of human rights by granting judicial legitimacy to Israeli policy,” it says.